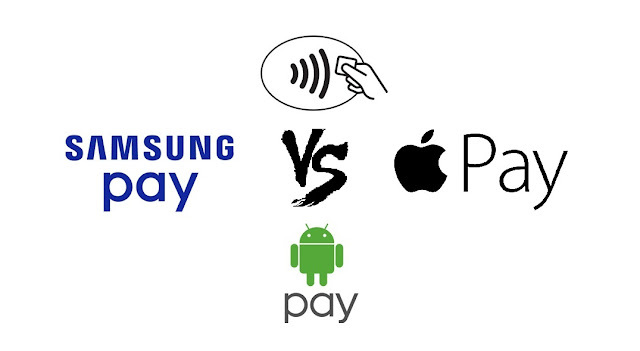 Hello guys, With Apple Pay, Samsung Pay and last Android Pay, you'll no longer have to keep your phone while you dig for your credit cards to pay for groceries. Rather, it's simply a matter of putting your WhatsApp message on hold, activating your preferred mobile payment and card on the phone, scan your fingerprint and tap to pay. Thought it would be interesting to compare the global reach of these services. Apple is in the lead with 14 supported countries, but that's expected since Apple had a year's head start over both Samsung and Google. Samsung did well to catch up though, with 13 supported countries, and bringing in the rear is Google with just 10 supported countries. As for future plans, Samsung has already announced support for 7 more countries, including Taiwan, Turkey, UK, Poland, Indonesia, Sweden, and Netherlands. Apple will expand into Taiwan, Germany, and Italy, while Google has only announced future support for Russia. From the looks of things, it seems like Samsung is taking mobile payments very seriously with aggressive global expansion, while Google is taking things very slowly. Admittedly, Samsung only needs to worry about its own devices (as does Apple), while Google is responsible for an entire platform. Still, it would be nice to see Android Pay expand at a more rapid pace than it currently does.